CHANDIGARH, September 11: Asking the Aam Aadmi Party to spell out what was new or different in their farmers’ manifesto, Punjab Pradesh Congress Committee president, Capt Amarinder Singh today said that it was a poor carbon copy of what Congress has already committed and promised. He also asked as why AAP convener Arvind Kejriwal did not read the manifesto draft himself. He pointed out, the AAP had promised conditional loan waiver, while the Congress had already promised unconditional loan waiver to the farmers. “There are so many ifs and buts in the AAP manifesto betraying lack of confidence in the party to commit anything”, he said. 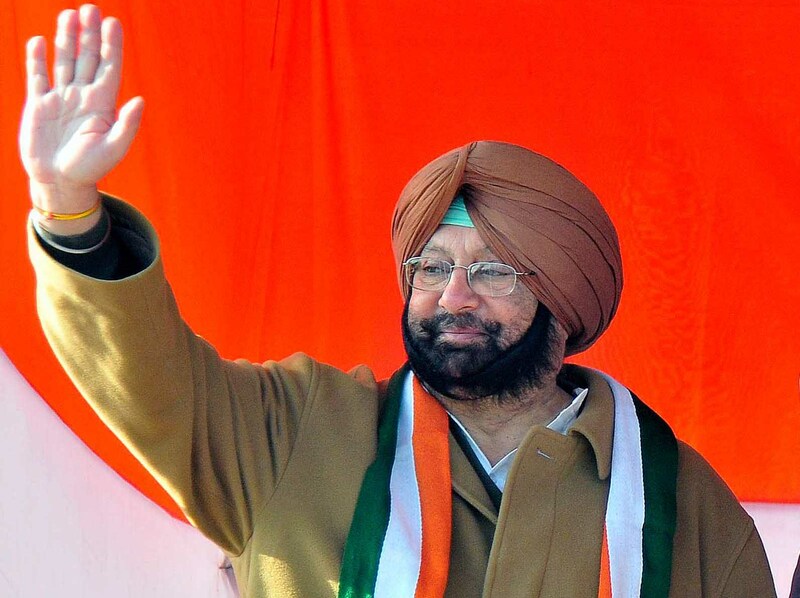 Referring to other announcements made in the manifesto like bringing in legislation to save farmers’ land from being auctioned in case of loan default, confiscation of Badals’ buses and providing these to the unemployed youth of the state, the PCC president said, the Congress party has already made these commitments long ago and mere perusal of the recent newspapers can enlighten them about it. On the AAP claims that the farmers’ produce will be lifted within 24 hours of its arrival in mandis and payment will be made within 72 hours, the former Chief Minister pointed out, he had already done it way back between 2002 and 2007 and whole of Punjab in general and the farmers in particular know about it. The PCC president also took a dig at Delhi Chief Minister Arvind Kejriwal for avoiding any reference to the Satluj Yamuna Link Canal, while otherwise repeating everything that was read from the manifesto. He pointed out, Kejriwal repeated everything verbatim that was already read, from the manifesto but deliberately avoided any reference to the SYL canal. “Doesn’t it betray the lack of sincerity and commitment about the promises they made?” he asked. Reiterating that he will make Kejriwal run away from Punjab, Capt Amarinder said, “Punjab is for Punjabis and I will not let any non-Punjabi to rule over Punjab, come what may”. He said, Punjab does not need Kejriwal to put the Badals and Majithia behind bars. “And I don’t need your advice as how to deal with them (the Badals) as I have dealt with them in the past and I will deal with them in the future as well and whole of Punjab knows about it”, he updated Kejriwal. The PCC president ridiculed Kejriwal’s ignorance about the fact that Amritsar and Anandpur Sahab are already the holy cities and today he again promised to declare them as holy cities if AAP formed the government. He pointed out, this has been reported in the newspapers during the last few days of his stay in Punjab and he was still harping on the same theme while blissfully remaining ignorant that he was making a fool of himself.